Dear What’s Next Blog readers: This is the first in a series of posts about Polymaths – people who are richly gifted and are successful in more than one career. I will share these interviews with you on an occasional basis. New Yorker Tod Emko is a computer programmer, biodiversity and environmental activist, co-founder of a successful charitable organization, cartoonist, author and photographer, a board member of Lotus Elephant Sanctuary and a crew member of the Sea Shepherd Conservation Society. And he’s just getting started. He also is determined to change the world and he’s made a start as co-founder and director of the charitable foundation, Darwin Animal Doctors, which provides comprehensive veterinary care for the animals of the Galapagos Islands. Born in Syracuse, NY, Emko says he was a nerd who’d write computer programs with his brother and dream of rescuing a lot of animals when he grew up. He had no childhood pets, but loved all animals. His parents wanted him to be a doctor like his cousins, uncles and aunts. “My cousin, who was first in her class at Yale and had a PhD, was the black sheep of the family because she didn’t have a medical degree yet.” She did become a doctor and also married one. “I learned on the job. I’m glad we didn’t get lost.” They did get attacked with grenades and water canons by the Japanese whaling fleet. “We didn’t expect that,” he says in his understated way. Sea Shepherd soon needed his help in the Galapagos. While there, he realized that there were thousands of homeless dogs and cats, putting extreme pressure on the fragile ecosystem of the islands. Many of the animals were ill. He began raising funds to build an animal hospital, with his fellow crew member, Andrea Gordon. “I knew nothing about fund-raising, he says, “I just did it.” He bootstrapped the organization with the funds he raised and donations from friends and soon had a one-room hospital staffed by a local vet. Then another vet joined them, and they went door to door offering animal health care. He recently combined the Darwin Animal Doctors’ work with his life-long desire to be a cartoonist. 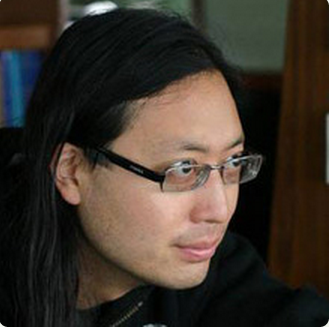 He wrote a cartoon feature, “A Piggy’s Tale,” and raised more than $10,000 on Kickstarter to develop it into a series of books and a mobile game. 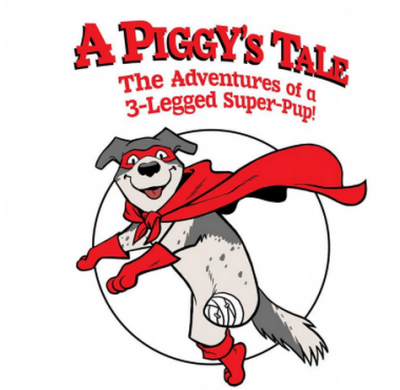 It stars his real-life three-legged dog, Piggy, and his pal Simon the cat, rescue people and animals in need, saving them from evildoers or even their own sorrow. Emko also created the website that accompanies the project. As a child, Emko says he had no particular mentor, but looked to fantasy for inspiration. Dr Who, Sulu from Star Trek and people who were trying to save the world became his heroes, he says.